Climate Change is real...I think for many of us here in the Philippines experiencing this weather right now know and feel just how real this all is. The heat is excruciatingly unbearable. The humidity only makes it worse. The fact that we are having problems with water is exacerbating the issue too. Just recently there were issues with water supply in many areas in Metro Manila. There have been various reasons brought up about why there was a problem with water supply and it got all political really quick but if there is something that we need to take away from this it’s that water supply is an issue that we need to pay more attention to now more than ever. There may be many issues that are causing this current problem but at the core of it all is that when the system fails, it's most likely because we all have. There may be a lot of water everywhere but not everything is potable. Not everything can be used for our daily needs – that's what fresh water is for...and that is running out. Just because we pay for the service of water supply it doesn’t mean that we should take it for granted. Water is not in infinite supply. With climate change, pollution and overpopulation, that supply is running out fast. My family had this water supply problem recently and I can tell you, not having water is the worst thing. You can take away electricity but you can't live without water. Ask anyone. I remember seeing an interview with someone from the National Water Resources Board explaining how we cannot over extract ground water because it would put us in danger of sink holes. It was also in the news that the water level of the dams that supply water for the Metro have decreased due to the hot weather. 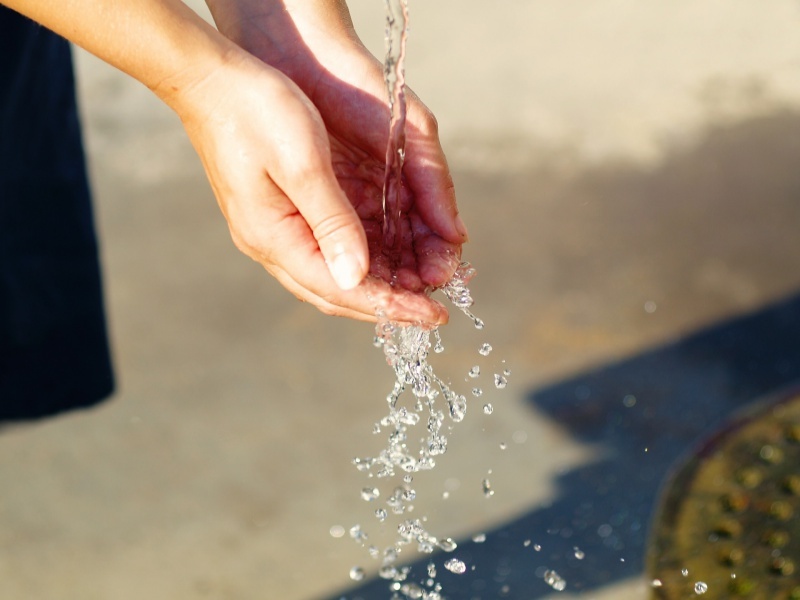 People need to be made aware that the water we use for our day to day needs is taken from groundwater supply or from surface water (like rivers and springs). These are replenished by rainwater, which doesn’t come very often these days. What little supply we have we over extract and waste when we don’t report water leaks. Either that or we pollute our water supply and are not conscious about conserving water. We can’t keep on complaining when we have problems with water supply. We need to do our part too. We need to remember to be careful with our use of water and make the effort to conserve it. We need to stop polluting our waters. We need to report people who pilfer water and leaks in the water lines. We need to call out the people in charge if we believe there is mismanagement involved. We need to do what we can. Don’t use the shower. Do it the Pinoy Way: with a pail and dipper. You use less water compared to when you use the shower. If you want to use the shower anyway, catch the water with a pail and reuse it for flushing the toilet or for watering plants. Take shorter showers if you can. Recycle water. Reuse whenever you can. Turn off the faucet when you’re brushing teeth or washing your hands. Turn it on when you need to rinse only. You’ll save a lot of water that way. Fill the sink with water when washing the dishes. You don’t need running water to clean your dishes...just leave the running water part for when you have to rinse. Manage your laundry properly. Don’t do laundry when you don’t have much to put into the washing machine. It’s a waste of water. Schedule your laundry for when you can fully load it to maximize water use. Use water-efficient fixtures. There are now so many fixtures (shower heads, faucets, toilets) that you can buy to save water, check out the hardware stores and ask for these items, they will save not just water but money from your bill in the long run! Check your water lines for leaks. Turn off all water sources then check your water meter. If it’s running check your home for leaks. It’s usually faucets that are dripping or the common suspect – the toilet. 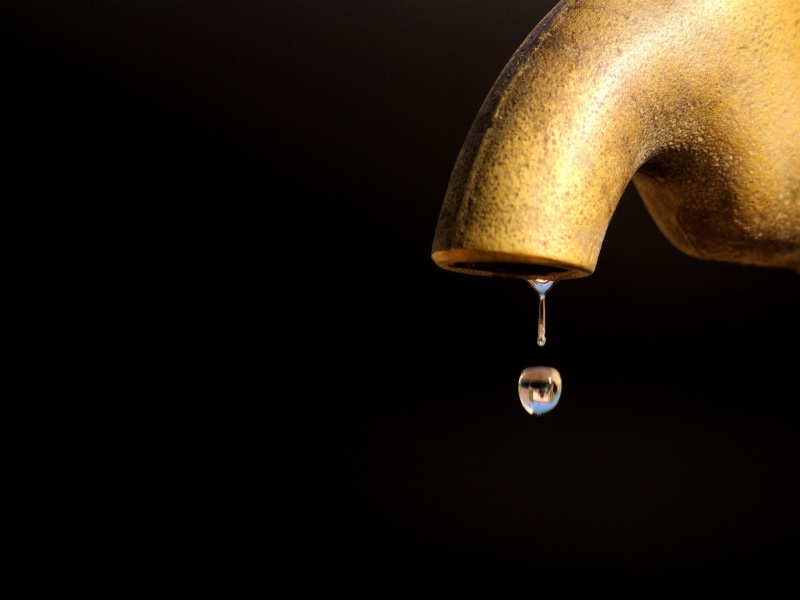 Sometimes we don’t notice that it’s continually running water until we try to check for leaks. Monitoring your water consumption will help you to find out if you have them. Report water leaks in your area. You may think that it’s not your home so it’s not your problem. Wrong. Any leak you see is water wasted that will lessen the supply you will be getting from. Report leaks from lines if you see them (water hydrants that are turned on, water lines that were run over during accidents, etc.). Report water pilferages if you can as well. Harvest rainwater. Use this for your plants/garden or for cleaning your car. We need to remember that this water is not just for us but also for future generations. If we want our children and their children to be able to have water they can use regularly (without having to line up for rationed supplies), we need to save what we can. Who's with me on this? Still not convinced? Maybe Dingdong Dantes could change your mind? I totally agree when you said that they can take away electricity but not water. It's so hard without it. I would fetch water at the barangay "poso" outside when I have to. Kiber na sa poise at kung may makakita na kakilala. Nakakaawa yung mga kababayan natin na wala talaga for days (like the areas in Mandaluyong which was badly hit recently). I can understand their frustration at kung bakit minsan nagkakaroon na ng blame game at nagiging political na rin. Sometimes it's frustrating how the powers that be would rather dwell on the politics than find solutions. We all need to work together to make sure there is enough water not just for the day to day, but for the future din!